Question 2: Abstract objects: Platonism or nominalism? Abstract objects: Platonism or nominalism? 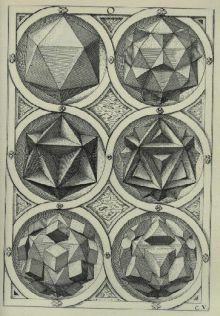 I take Platonism to be the position that abstract objects are not only real, but the most real things that exist. Particular things are less real than the forms. I take nominalism to be the position that abstract objects are names that we give to identify similarities amongst particulars. The abstraction doesn’t really exist in the object and it is only a useful fiction that we use in order to speak of individual things as if they belong to sets of things. This was a hard question to answer for me. I do think too many abstractions are reified without good reason (The Fallacy of Misplaced Concreteness). At the same time, I don’t want to say that ALL abstractions are mere names that we use as linguistic shorthand to refer to particulars. It seems to me that if nominalism is true, then our way of speaking is almost always false–and that just doesn’t seem right to me. Or, to put this a bit differently, if language is able to express truth at all, nominalism must be false. But, we cannot swing out to the other extreme of Platonism! I am satisfied with the idea that forms really are in particular objects and that they are abstracted into universals that are real mental objects. 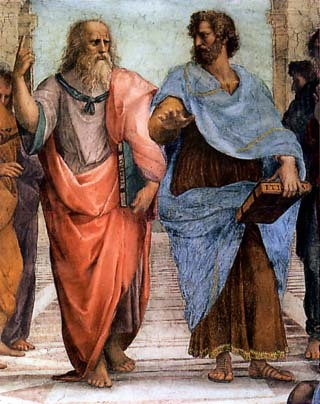 1 Kreeft, P. (2005) Socratic logic: a logic text using Socratic method, platonic questions, and Aristotelian Principles. 2nd ed. Ed. T. Dougherty. South Bend, IN: St. Augustine Press. 43. The question of whether there is a priori knowledge forced me to attempt to define knowledge. I defaulted to the position that knowledge is defined by a set of three necessary and jointly sufficient conditions. For there to be knowledge of some proposition p, 1) p must be believed, 2)p must be true, and 3) there must be some sort of justification by which p is believed to be true. Justified True Belief, or JTB, was the dominant epistemological model for the first 2,500 years of philosophy (this is a bit of an exaggeration, but it gets to the point). Then Edmund Gettier wrote a short article in 1963 entitled “Is Justified True Belief Knowledge”. Suddenly, it seemed that JTB was insufficient. Perhaps a fourth necessary condition was needed. I myself attempted some sort of vague qualifier in light of Gettier examples, i.e. that there must be some sort of relation between the justification and that the belief is true. In other words, it can’t happen by accident. I agree with Williams that this vagueness heads us in the right direction for an account of knowledge. I am not quite in Ayer’s boat that the vagueness cannot be resolved. Perhaps we can allay the degree of vagueness without stumbling too far away from a true account of knowledge. Therefore, I am willing to stick to my definition of JTB as knowledge with the caveat that such a definition is admittedly vague and there may be borderline cases which prove JTB not fully adequate. 1 G. Hallett. 2008. “Wittgenstein versus Theoretical ‘Intuitions'” in Linguistic Philosophy: The Central Story. Albany: State University of New York Press. A priori knowledge: yes or no? Well, the survey doesn’t start with an easy one, like “Does truth exist?” Part of what is interesting about this essay is that the questions are short and the terms are not defined for us. So a lot of the answer has to do with what we mean by knowledge and what we mean by a priori. Philosophers use these terms in different, albeit often related, ways. So with my intuitive answer comes my intuitive and unrefined definitions (we’ll see if I keep them over time). By knowledge, I mean a 1) belief that is 2) justified in such a way that the justification leads to my understanding that the belief more likely true than not true, and 3) the belief is true. As I am somewhat aware of the Gettier Problem, I attempted a qualification in 2 to make justification more explicitly a relational attitude between my having assented to the belief and the likelihood that the belief is in fact true. I have no idea if this is adequate… suggestions? As for a priori, I take this to be a kind of judgment made without reference to anything empirical. So, my intuitive answer is yes. I think there is at least one “justified true belief” that is non-empirical. My intuitive examples would come from the laws of logic, like the law of identity, the law of non-contradiction, the law of the excluded middle. These laws are not known empirically, but are preconditions for empirical things to be empirically known. How so? Any justification of some proposition P requires that 1) P ≡ P and 2) P v ~P. Otherwise,the justification could not lead us to understand P is true and ~P is false. To say the laws of logic require a posteriori justification would result in a fallacious begging of the question. So, if there is knowledge at all, then there must be a priori knowledge. Further, we can affirm that there is knowledge, since the denial of the proposition “There is no knowledge” could not be a knowledge claim. This alone may not be problematic, but then one would know that the proposition “There is no knowledge” could not be a knowledge claim. Thus, I think there is at least one thing which would count as knowledge and that if there is at lease one thing that would count as knowledge, then there must be a priori knowledge. I am fairly confident in my intuitive answer and the “on the fly” argument that I provided to justify my belief that it is true. I would rate my confidence on a 1-10 scale (1 being very little confidence and 10 being 100% certain) at about a 8, since I am not positive that my definitions are free of problems (especially considering the Gettier Problems mentioned earlier). As this is one of my first posts, I want to take a moment to give you an idea of how my future investigations will proceed. I will monitor the comment thread on this post to see if any good points and challenges are made. If so, I will update and revise as necessary. How This Answer Effects Other Answers I Have Given So Far (i.e. if I finally conclude that there is a priori knowledge, and then later conclude that I accept “scientific anti-realism” I might consider whether the two beliefs conflict). As this blog develops, I hope contributions from my readers will continue to spur updates, revisions, and reassessments. There are 30 or so questions on the survey and I anticipate that some of them will have to be treated in multiple parts. Should this blog gain momentum (and this was not just a fleeting idea I had yesterday night after reading a post on “Common Sense Atheism”) and I manage to get through all of the questions, I will try to come up with more to ask, or I will rely on my readership, if I gain any. I suspect that I could spend a life-time on just one or two of the survey questions if I really wanted to, so I am not worried about the short length of the survey itself. But, I also don’t want to limit this blog to just the PhilPaper Survey. It’s just a tool that I am using to start investigating my own world-view. Because, “The unexamined life isn’t worth living.” Right?